Pull Out vs Pull Down Kitchen Faucets - Which One Should You Choose? →Pull Out vs Pull Down Kitchen Faucets – Which One Should You Choose? Pull Out vs Pull Down Kitchen Faucets – Which One Should You Choose? 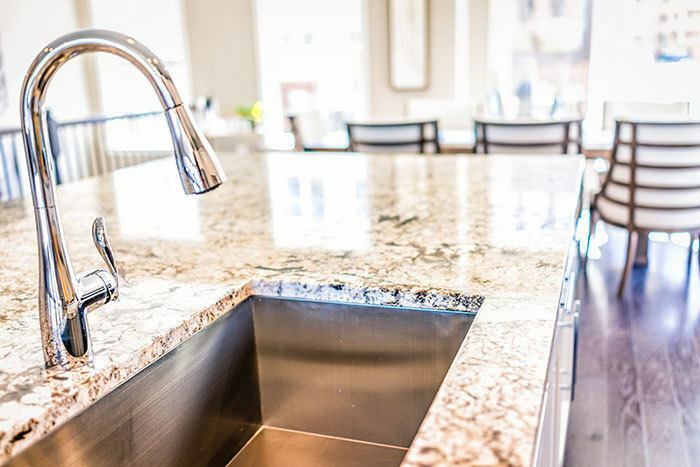 If you are building or upgrading your kitchen and are in need of a new faucet, there are definitely a couple of things that you need to consider before buying. In order to buy a proper faucet, first remember to make sure about the number of mounting holes that your sink contains. These numbers usually vary between one and four and every faucet has a mark placed somewhere on the packaging, telling you the number of holes it requires in order to be successfully installed. Taking into account the fact that a regular faucet gets sprung into action about forty times in a single day, you need to do everything by the book if you want high quality and resilience with minimum risk of leakage and giving out. Now, among the most popular of faucet models are pull out and pull down faucets. Before finding their way inside many homes, they were used by professional chefs and big restaurants because of their practicality and pliability. But which one is better? 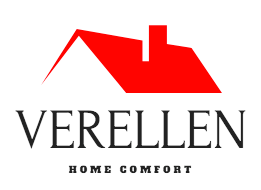 Unfortunately for them, pull out faucets are definitely less popular than pull down faucets, especially with modern families, but that does not mean they are not worthy of attention. For example, pull out faucets are nothing short of amazing when it comes to space management because of their design with shorter spouts and more elastic spray heads. That makes them a perfect choice for smaller sinks and people who get their dishes a bit more dirty while cooking. The downsides of these faucets are definitely design and style, which are considered to be rather limited, and the fact that filling tall kitchen utensils can be a bit tricky. 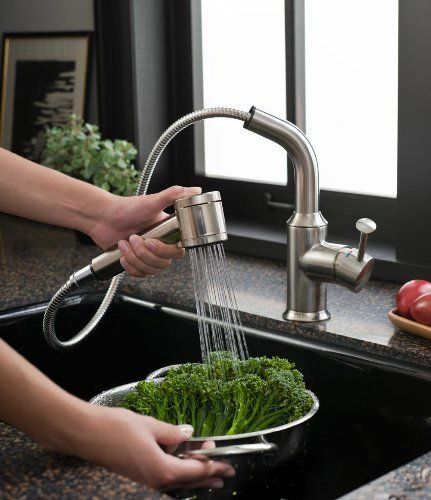 Usually seen as the most famous of faucets pull down faucets require more space and with their taller arches and greater visual appearance, they are considered a definite favorite for those looking for great kitchen design. Even professional chefs say that pull down faucets are their weapon of choice when it comes to washing dishes or pouring water into pans when cooking. And although they are the easiest to use and have a huge variety of beautiful models, pull down faucets have their downsides. For example, if you have an issue with space in your kitchen, pull down faucets should not be an option for you because they take up much more space than the pull out ones. Besides, if the magnets on your faucet are not of high quality, the result could be a wavy, uncontrollable faucet head. Last but not least, it can often happen that the spray hose of the pull down faucet is shorter than it should be, leaving you with an impractical tap. 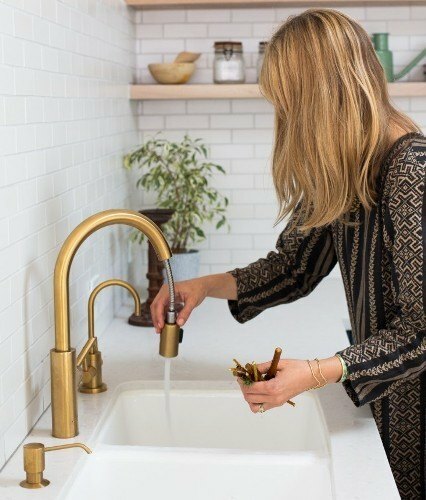 Whatever model and color of the faucet you decide to buy, do not rush into making decisions, since there really are a lot of options for everybody. We will also let you decide which is better between these two types of faucets, but remember, all things have their pros and cons. We wish you happy faucet hunting!